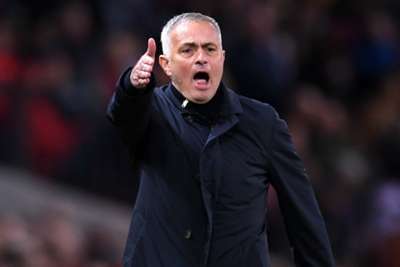 Mourinho guided Inter to the treble that season before heading to LaLiga to take over at Real Madrid, where the rivalry with Pep Guardiola's Barca became ferocious during his three years in charge. "Mourinho is a very defensive coach. Playing against his Inter wasn't easy," the Al-Sadd midfielder told Corriere dello Sport. "That's his style and he put it into practice with Chelsea and Real Madrid. He cares about all the details, he closes the gaps and he doesn't give you space. "I like a different kind of football. I'm not criticising, but I don't enjoy playing football in that way and my teams will never have that attitude." "Guardiola is not just wonderful football with big performers: he cares a lot about the details of defensive movements and his teams are very organised," Xavi said of the City manager, who has admitted being interested in moving to Italy. "If he has said that he wants to try an experience in Italian football, you can be certain that, sooner or later, he will come. And, given what I know about him, he won't just come to take part." "This is 99 per cent my last season because, at nearly 39, it's normal to be tired and need a change of course," added the Spain great, who is taking UEFA's Pro Licence courses to become a coach. "It's not yet the time for announcements or goodbyes, but I've thought clearly on what I will do."